Nearly a month ago to the day, FLUD, a fantastic, free, iOS news consumption app received several super updates, but if you own an Android device you may have felt left out. After spending the past weekend using FLUD for Android having used it on both the iPhone and iPad, I found it to be equally as great as the iOS versons, providing the latest news from one’s favorite sources in an easy-to-use, wonderfully designed, user interface. Whether you scan headlines or read entire pieces, FLUD enhances reading of news and allows you to share the stories you find most interesting with its integrated social-sharing options. 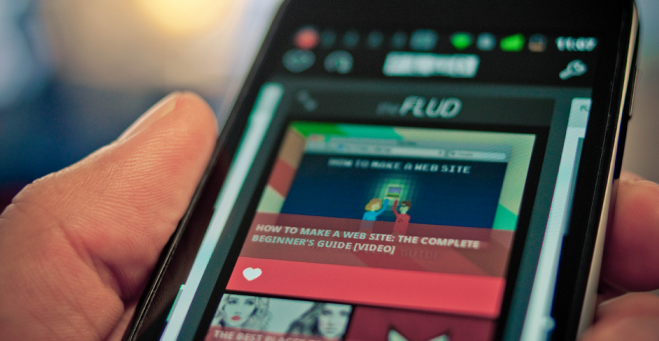 In the coming weeks FLUD will also launch a web application, which you can expect to hear about here first! Pick up FLUD for Android here and let us know what you think of the app in the comments!